Hello! Isn't this a pretty inspiration picture? I just love sunflowers. Today, Avery and I learned about the myth of how sunflowers came to be. It all started with a water goddess named Clytie who was in love with Apollo-the sun god. She watched him for 9 days and couldn't take her eyes off of him to even eat or drink. She was becoming very pale and thin, so the gods took pity on her and turned her into a sunflower LOL! No sunflowers here! 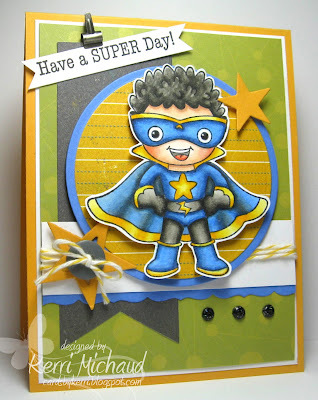 I really wanted to color up this adorable super hero from Your Next Stamp called Super Hero Ethan. I used a variety of dp from Cosmo Cricket The Boyfriend and Authentique Free Bird. The layout is the Deconstructed Sketch #73. We hope you'll play along with us this week! Just link your creations to the Color Throwdown Blog HERE and make sure you check out the rest of the fabulous DT projects while you're there! Thank you so much for stopping by today and have a wonderful Wednesday! Kerri, your colouring rocks! Wow! Love how you've made his cape appear to have waves! Love it! LOVE your adorable Super Boy rocking your fab coloring skills! Enjoyed the educational trivia as well - lol! Fabulous coloring on this, Kerri! Awesome card! Oh my word this is CUUUUUUUUTE! AWESOME coloring girlie! 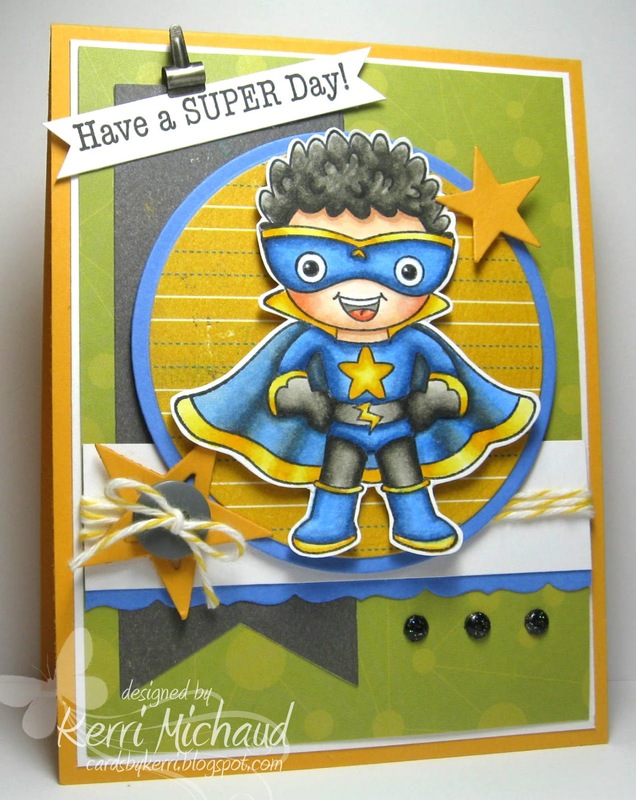 OMG, Kerri...you really brought this adorable little super guy to life with your fabulous coloring....love how you added the stars and little clip, too!!!! Love that sketch and your coloring is out-of-this-world awesome, Kerri! Your coloring is awesome...WOWWW! Love the addition of the stars, too. Really GREAT card! This is too cute, Kerri! Love how you colored the super hero. This card is so fun! I just love the superhero guy & your coloring is amazing. 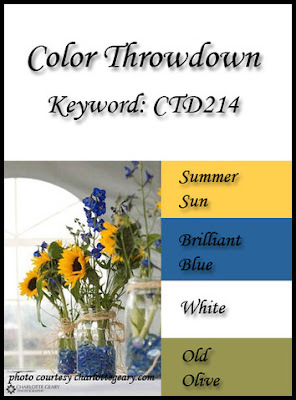 What great use of the color challenge! Sweet card!